Dr. Hagi Ben-Artzi explains the difference between Jewish and Arab terror, protests the 'joke' of Israeli jail sentences. 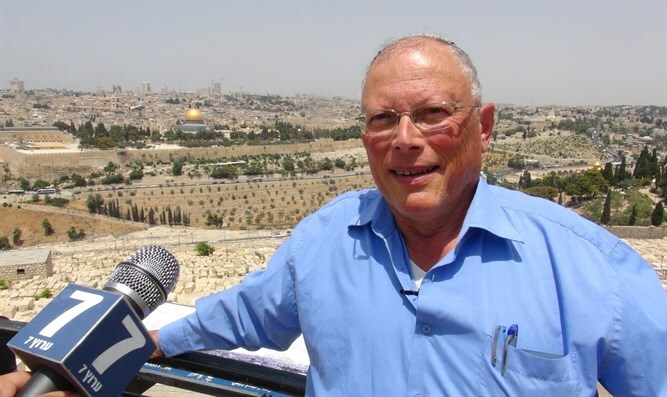 Bar-Ilan University lecturer and the brother-in-law of Israeli Prime Minister Binyamin Netanyahu Dr. Hagi Ben-Artzi spoke to Arutz Sheva about the attempt to tie the law allowing death penalty for terrorists to the arson in Duma. The law was approved in a preliminary reading on Wednesday by a majority of 52 to 49. If it passes its second and third readings, the law will allow army courts to sentence terrorists found guilty of murder to death with only a simple majority. Under current law, the death penalty may only be imposed by unanimous decision. In July 2015, an Arab child was killed and four other people were injured as a result of an arson attack on a house in the village of Duma, northeast of Ramallah. Police, the government, and the media, initially assumed that the arsonists were Jewish extremists, but a second fire in a home belonging to the same family raised questions which have not yet been answered. Though Hebrew graffiti was found at the burned home, several large question marks remain, including reports of a long-standing feud in the village, as well as the possibility that the second fire was caused by an electrical short. "This comparison has no basis, because the Duma case was never closed," he said. "It's a scandal that began when Israel's then President came out with an unfortunate and evil announcement, before the court case was even opened, when he said, 'My nation chose terror.' Even now, when the case is ongoing, no one has been indicted, and the media continues talking as if Jews are at fault." "This is a blood libel in the worst sense, and it hurts me that due to leftist political motives, this [accusation] has become obvious and a final conclusion. I call on everyone to protest." According to Ben-Artzi, if in the future it is discovered that Jews were in fact responsible for the arson, there is no place for the death sentence. "There were a few cases in which Jews were convicted of murdering Arabs for nationalistic motives, when the motive was revenge, and they were sentenced for that," he explained. "But there was no support for them - not in society, not in the government, and not in their towns. They are condemned here." "How can you compare that to the Arab terrorists, who are not the exceptions, not the rotten apples in the barrel, but instead are a whole nation which murders Jews, with entire clans supporting them? After every terror attack, they sing and dance, handing out candies and cakes, rejoicing in the murder. With them, it is not a few lone people, it is a war fought by an entire nation which is working against us. And we are paralyzed, unable to act effectively." Ben-Artzi believes that the Jewish nation is tired of its leadership's inability to eradicate terror. "Since the Jibril prisoner exchange thirty years ago, we have had no deterrence. All the murderers know that jail is a joke," he said. "Thousands of terrorists sentenced to life sentences were freed after five years." "The punishment of destroying terrorists' homes has turned into a joke, because the Supreme Court, in a good instance, destroys a single room. And the Arabs stand outside and laugh at us." In the Jibril agreement, Israel released 1,150 convicted terrorists in return for three Israeli soldiers captured during the First Lebanon War. "This is a serious failure of the Israeli government, the Knesset, and the Supreme Court," he said. "The public is frustrated, and rightly so. And if we don't have the death penalty, we will have to find something else - maybe destroying an entire neighborhood, of the entire clan, in a way that provides deterrence. Otherwise, we will never be able to free ourselves of this cycle of terror. We must put an end to it."